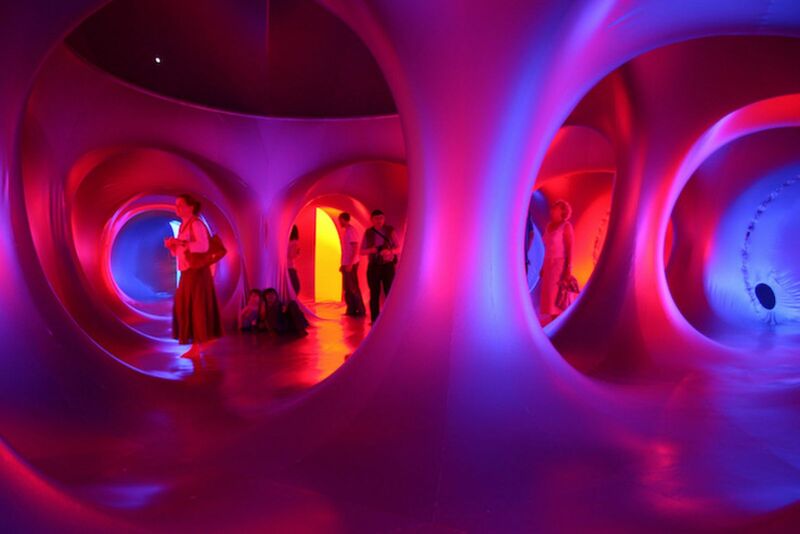 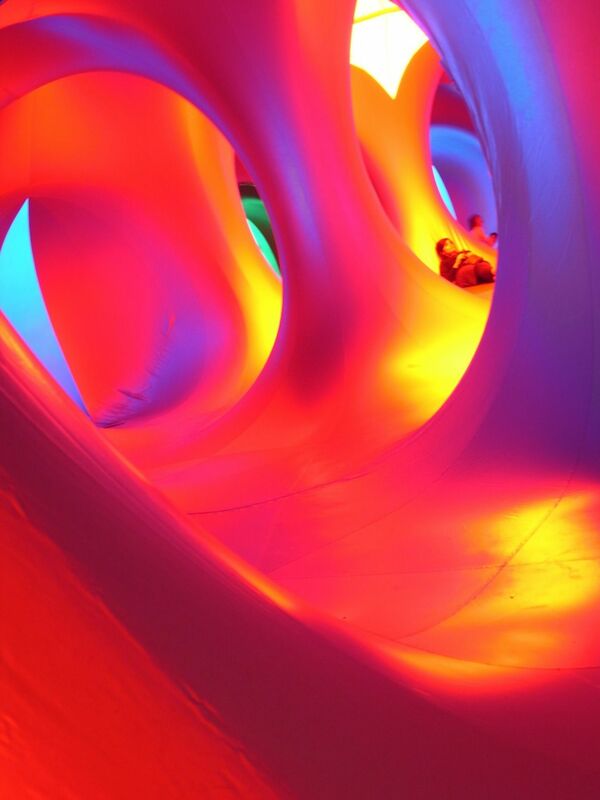 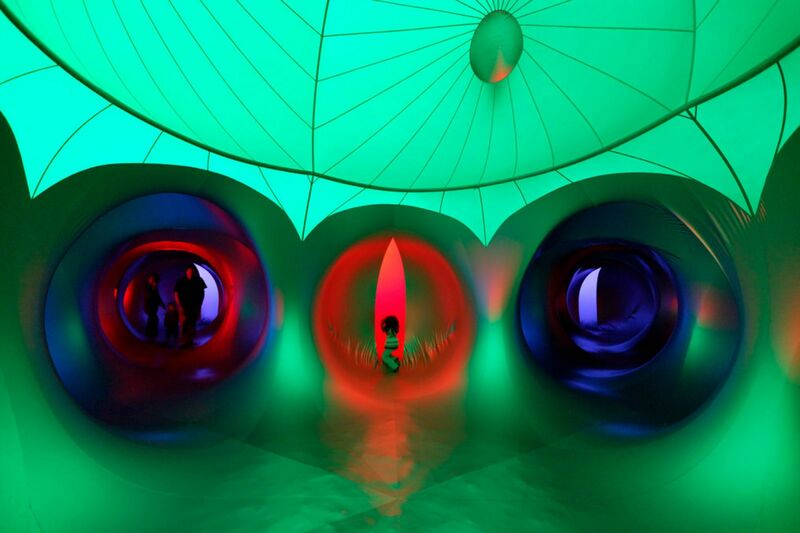 Amococo is the most labyrinthine of the luminaria. 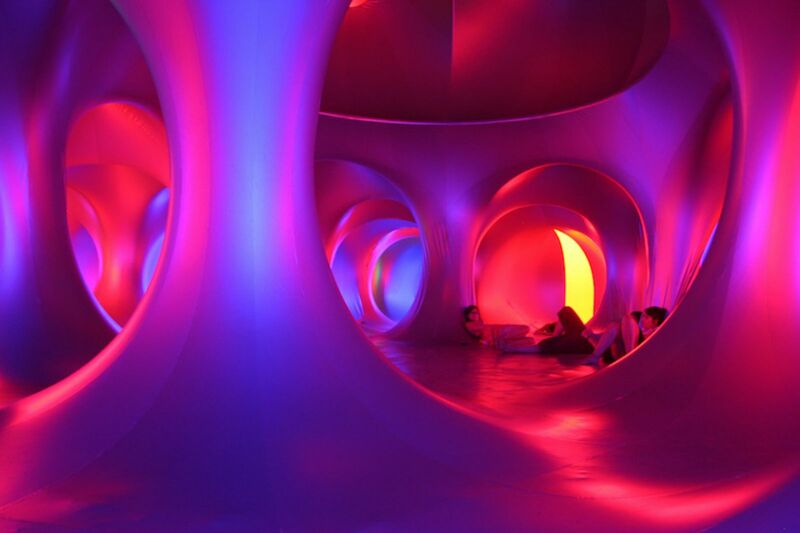 It features 86 triaxial domes and 71 pods that create an endlessly weaving complex of pathways where the visitors may happily lose themselves. 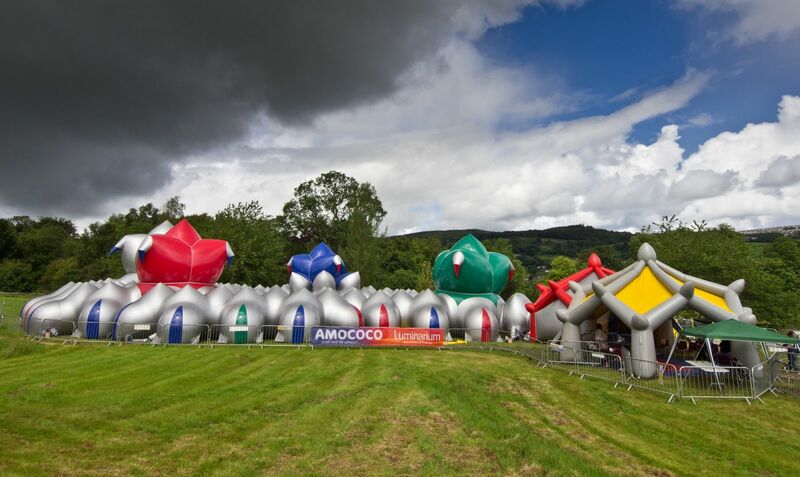 Amococo is unique among all the luminaria in having all its domes conform to a hexagonal matrix. 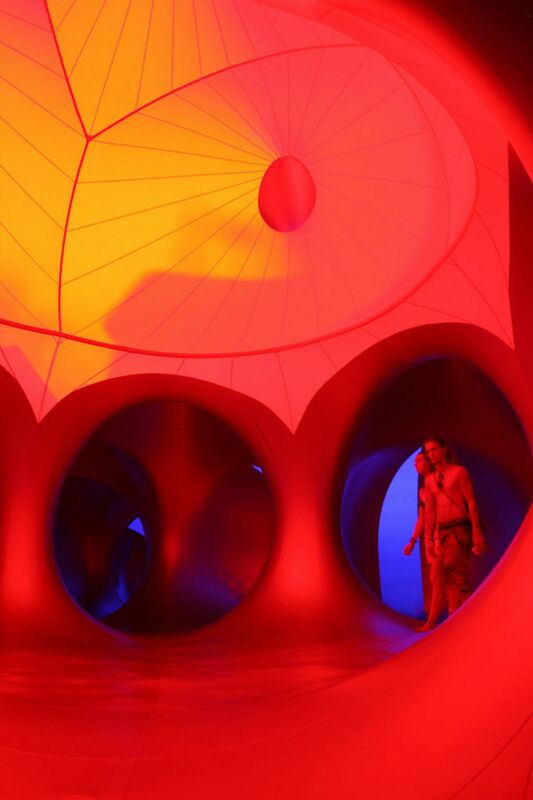 An architectural feature common to all its domes is the ‘oculus’ – an ovoid window set high on the domes. 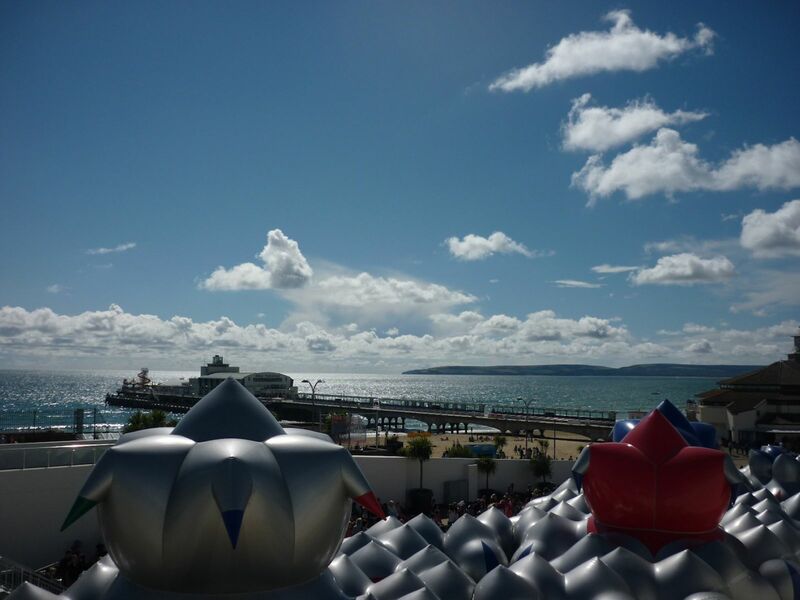 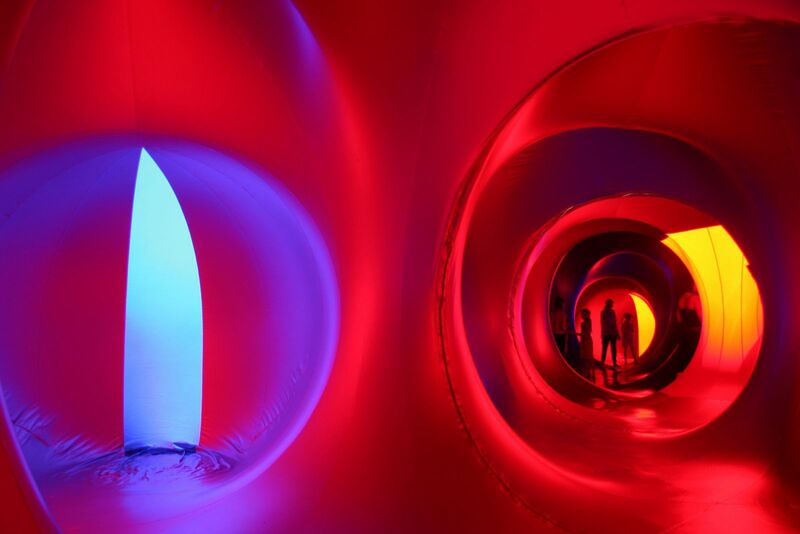 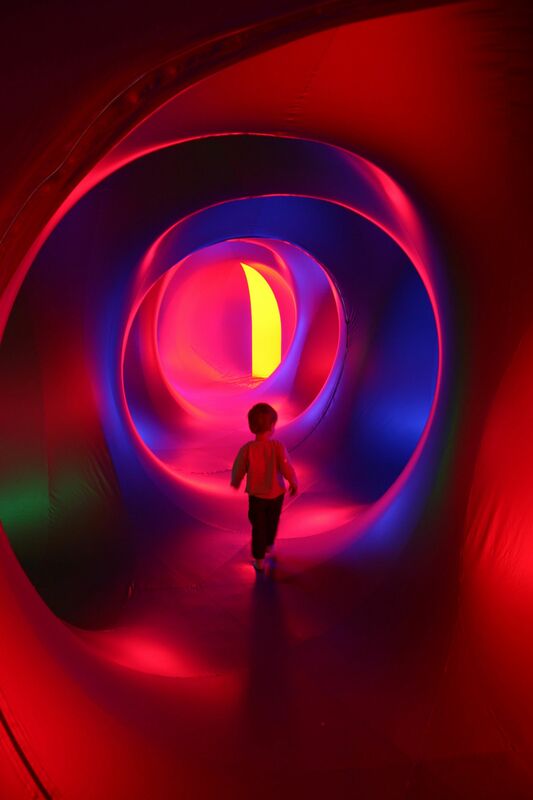 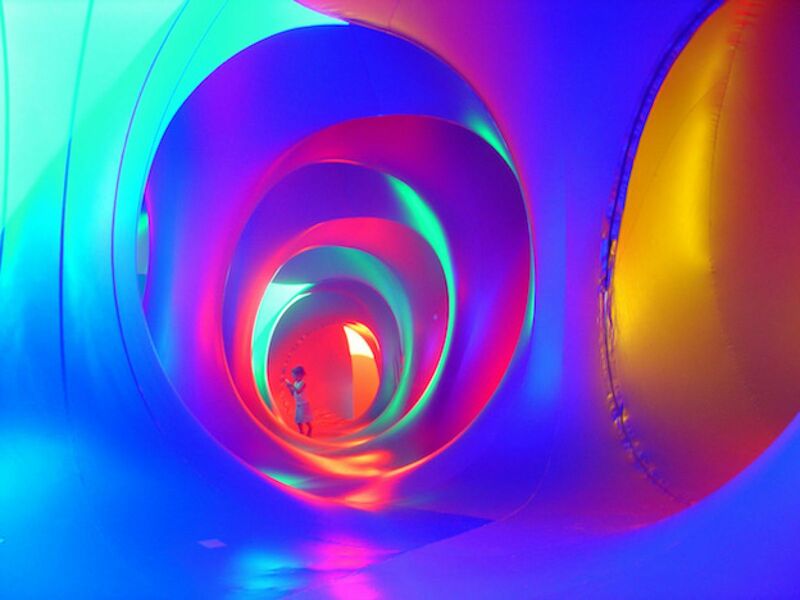 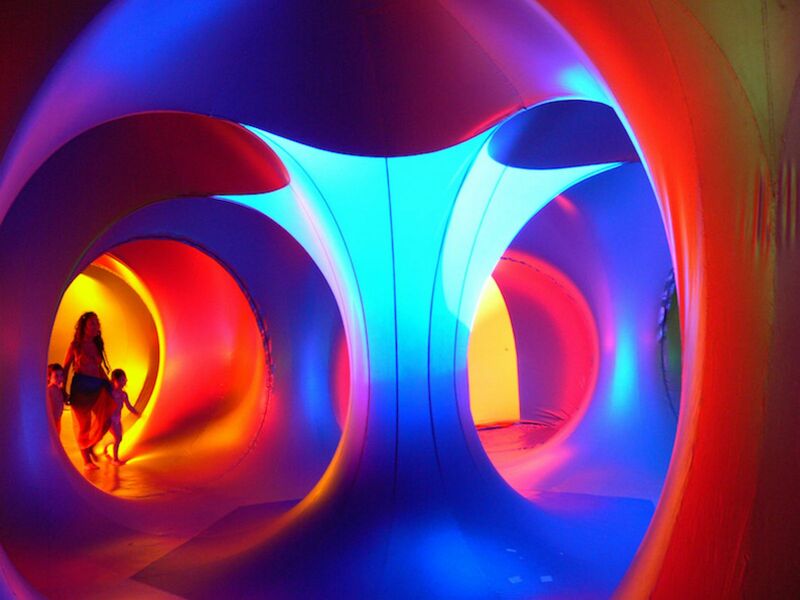 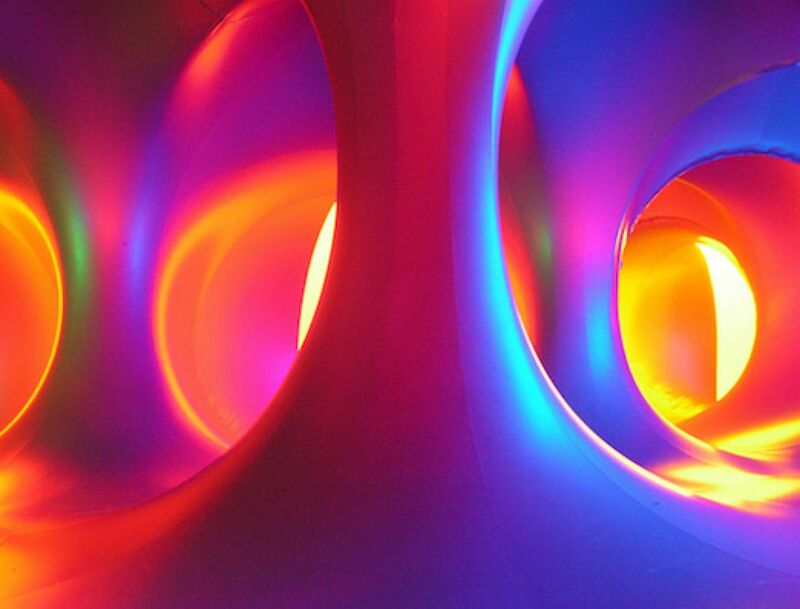 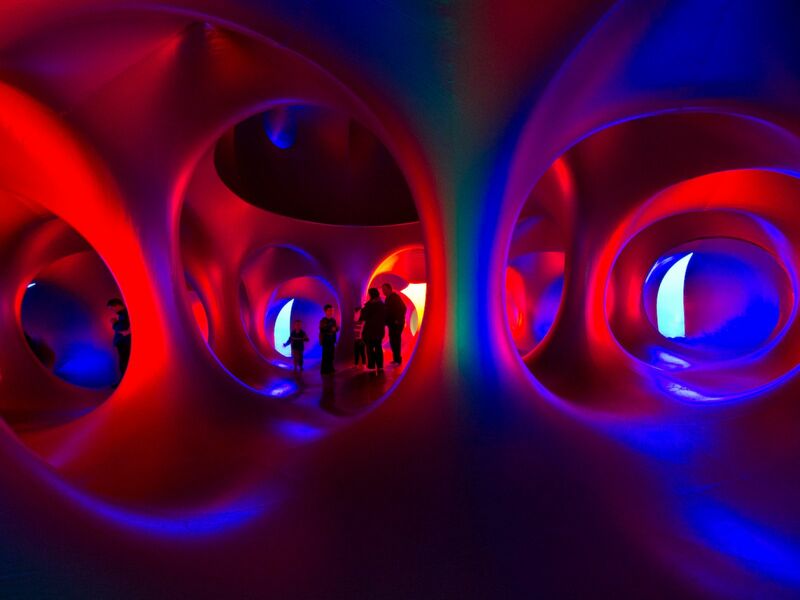 Amococo is the largest luminarium and has the potential to be set up in a very long narrow configuration approaching 80 metres (260 feet) in length.